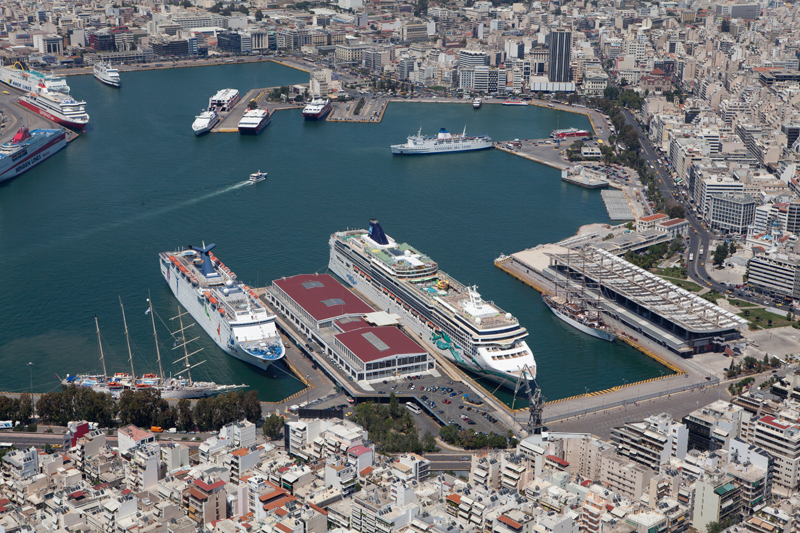 Piraeus cruise port is the biggest Greek seaport and among the largest Mediterranean ones. It offers wide cruise selection – to the Aegean sea, the breathtaking Istanbul, the stunning Ukrainian ports and the mythical Egypt. The cruise ship schedule includes voyages from the spring trough all the fall. 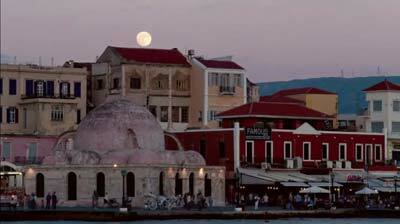 Piraeus and Athens have plenty of city tours possibilities. 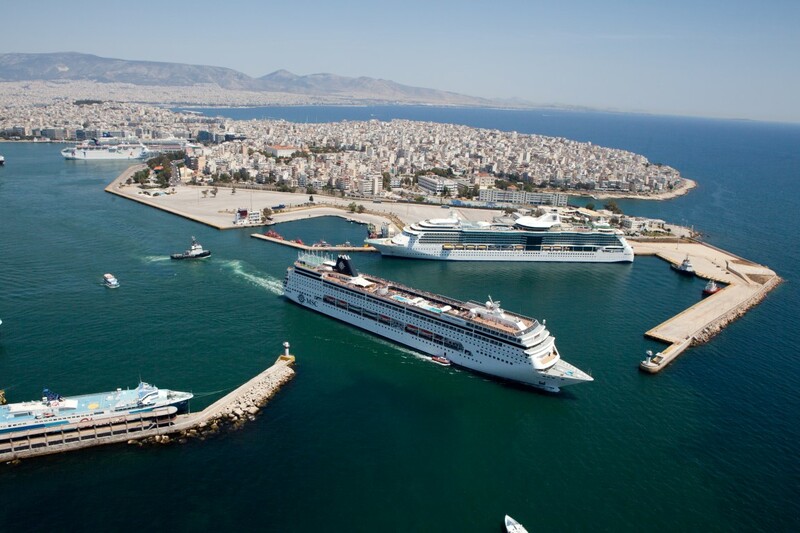 Piraeus cruise port is the port near Athens, an important port since the Greek Golden Age. In Greece the spelling of the name is “Pireas” and it is shown on all the signs like this. The best way to arrive is by plane, landing in Athens, and then there is an easy transfer to the Piraeus cruise port. In the Renaissance, the port name was “Porto Leone”. It was named after the stunning lion, made of marble,who stood in front of the harbor until it was stolen. Currently the lion in moved to Venice. The Piraeus cruise port is located on the Saronic Gulf coastline. It is part of the Aegan Sea and it is on the southern end of Piraeus. Its first service was a terminus for ferries. 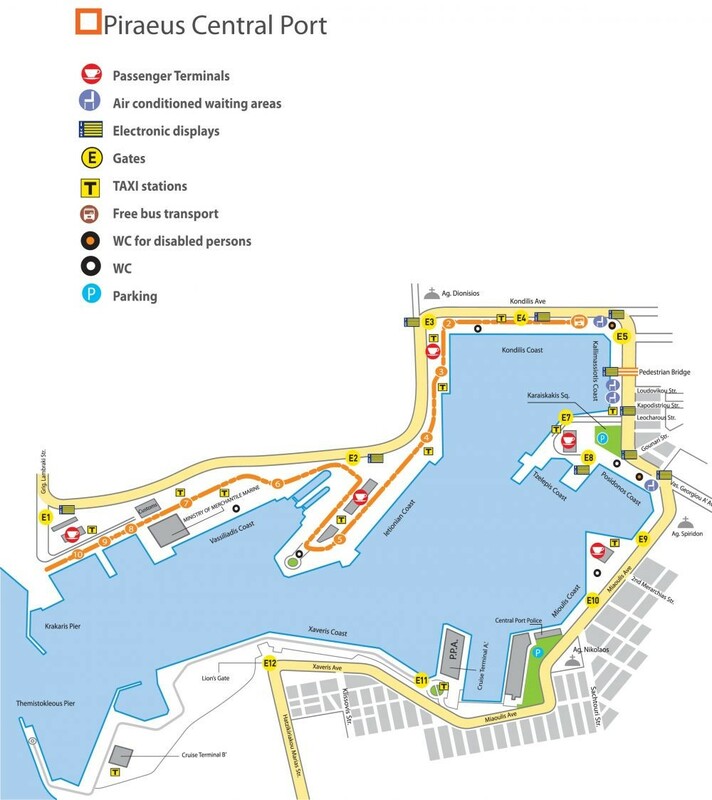 The terminals for cruise ships are Terminal A and Terminal B. the berths are located on the southern quays. Between Xaveris and Mioulis docks, at the harbor’s middle is located cruise terminal Miaoulis (A). It can be reached by gate E11. Enter E12 leads to cruise terminal Themistocles (B). It is situated into the Termistokleous breakwater but is not open so often. If it is closed, the passengers from cruise terminal B are transferred to cruise terminal B by a shuttle bus. You can visit either Athens or Piraeus. The Acropolis: the most famous place to see. The place dates since 400 BC and it combines beautiful ancient monuments. Here you can see the stunning Parthenon. 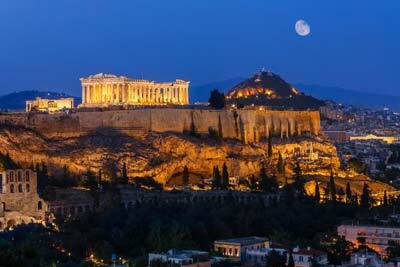 It is located at the top of the Acropolis and can be seen almost everywhere in Athens. In the Acropolis you will also find the Erechtheion. Syntagma Square: here is located the Greek parliament. At the front of it you can watch the ceremony of guards’ changing. They are dressed is skirts, which are very distinctive, and tights in white. Plaka: situated down from the world-famous Acropolis. This district is very beautiful, with narrow streets for pedestrians. You can find variety of cafes, bars, restaurants and shops. Roman Forum: situated at the west part of Plaka district. Horologion of Andronikos is located here. Marina Zea: or Pasalimani. You can go to the the Saronic Gulf by a Flying Dolphin. You can see breathtaking yachts at the marina. Also along the shore are located cafes, shops, tavernas and restaurants. Hellenic Maritime Museum: naval and nautical exhibition. You can see ancient and modern Greek vessels, ship models, paintings, ship paraphernalia, maps and flags, including items from the yacht of Aristotle Onassis. Archaeological Museum: ancient times exhibition. You can see statues dated from 400 BC, grave markers, large funeral monument, Piraeus treasures, Classical and Roman sculptures. Here are the bronze statues of Artemis, Apollo and Athena.